Traveling is a great way of setting your daily worries aside to enjoy your free time. 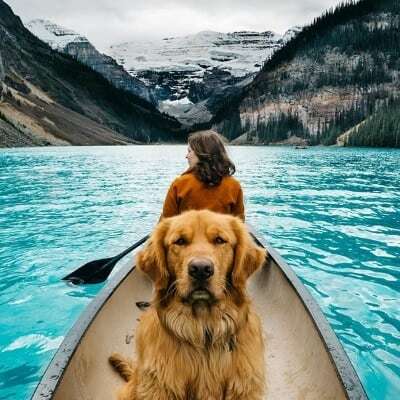 However, going on a trip alone is not always an optimal solution, especially if you have a four-legged friend that loves being by your side 24/7. Many people decide to bring their pets along without thinking about airline rules, passport control, predicaments along the way, and so on. I have had a pretty unpleasant surprise as a pet owner the last time I wanted to travel across the ocean. Even though the people working as airport staff were polite and extremely caring, they couldn’t let me through because I forgot to do some mandatory paperwork for my furry buddy. Needless to say, I was sent home devastated and disappointed. I decided to write this article so that you can avoid the situation I was in a month ago. Instead of thinking about whether you have all the needed paperwork, take a moment and read the article. You’ll find a lot of useful and insightful info about the much-needed paperwork. Also, you’ll find a couple of tips on how to take good care of your companion while you’re on vacation. Am I driving, or am I flying? The conditions are slightly different, but the concept is the same. The main advantage of car traveling is the fact that you have much more control in comparison to air travel. After all, you’re either the driver or sitting very close to one. In simpler words, there is plenty of time for an urgent reaction or minor adjustments along the way. There are a few things you need to take care of before even thinking about crossing the border. A visit to a vet is something you cannot skip before planning a trip. Dogs must have a tapeworm treatment before crossing the border. Also, a rabies vaccination is mandatory for every pet. Furthermore, you must wait at least 21 days from the date of the rabies vaccination before going on a trip. You can read more information on pet insurance plans for cats at our friends from We’re All About Cats. A microchip is a must-have for every animal crossing the border. It doesn’t matter whether you’re traveling with your cat, dog, or ferret; the conditions are the same for every animal. Bear in mind; you won’t be able to enter another country with an animal that doesn’t have a microchip implemented. A passport is probably something that’s worth mentioning, even if it’s the most obvious thing of them all. You would be surprised by the percentage of people who forget to bring their pet’s passport along. As you can assume, it’s quite a burden because you’ll definitely have to go back home and get it before continuing your trip. Apart from the said mandatory elements, there are some other things you should think about before going on a trip. Bear in mind; these things aren’t less important than the mandatory ones by any means. Make sure your car is functional and able to withstand a long trip. 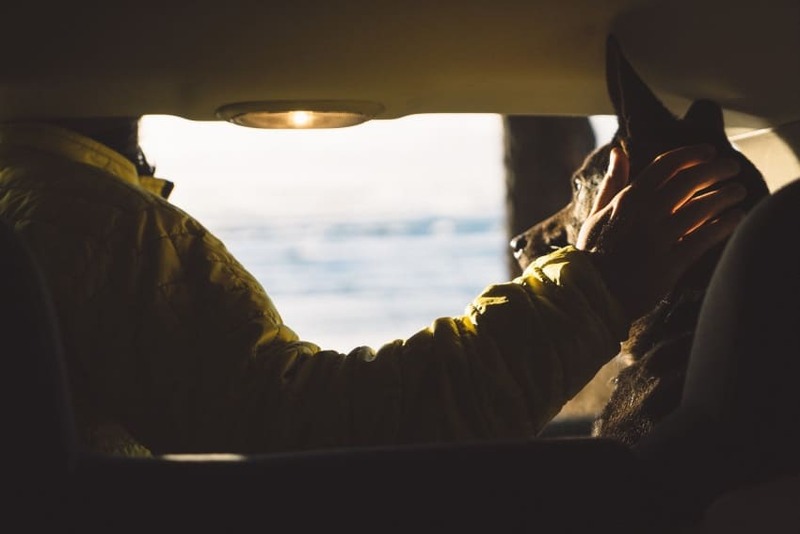 In fact, the first thing you need to do before commencing an adventure with your furry friend is – visit a mechanic. If it is a particularly long journey, make sure you have all the necessary supplies for your favorite being. Also, give your pet a light meal before you go and remember to bring a few small snacks along. This way you’ll avoid unplanned stops and retention. On top of that, your pet won’t get hungry and restless in the middle of your journey. Even though many of us don’t like making plenty of stops along the way, our four-legged friends beg to differ. A vast majority of animals need a break from riding because most of them aren’t used to being enclosed in a small space for long periods of time. Therefore, remember to make a couple of stops, drink a cup of coffee and let your furball stretch its legs a bit. Stretching will calm your companion down, and also make them feel comfortable. Water is extremely important, especially if you’re traveling during summer months. Many people don’t think about rehydrating their pets, and that can have severe consequences. Needless to say, bring plenty of spare water; you’re going to need it. It’s a good idea to pack some additional items such as spare leads, collars, harnesses, and toilet bags. You never know what might happen during your holidays. Therefore, it’s always a smart idea to prepare for the worst. If you’re traveling far away, there’s a good chance that the wildlife is different there, especially insects. Some countries have a bigger population of biting insects than others. It’s not a big deal as long as you get all the necessary insight and take preventative steps. Consult the vet and ask them to advise you on how to prevent or solve the problem with insects abroad. Grooming products, towels, and necessary medication should also be a part of your luggage. The reasons are more than obvious. Even though you are probably aware of the major no-no’s, I still find them worth mentioning. The main reason behind this is preserving the overall safety and well-being of your faithful companion. People usually equate their own needs with the needs of their pet. Needless to say, it’s a completely wrong point of view, and it’s also quite dangerous, to say the least. In simpler words, if you’re not thirsty at the moment, that doesn’t mean your furry friend feels the same way. Remember, they have fur which makes them more vulnerable to high temperatures. Think about hydration. Albeit I have said it already, keeping your furry friend hydrated is one of the most important things you should think about, at all times. Also, make sure that the temperature of the water is tolerable. Quite a few owners didn’t comprehend the problems their furry friends had with dehydration, and the were not sure why their pets refused to drink the water. A vast majority of those people didn’t check the temperature of the water first. You can rest assured that your dog won’t drink warm water, even if they are thirsty. Buy a temporary ID tag for your furry friend. The general rule of thumb here is to prepare for the worst and hope for the best. Therefore, if your pet ever escapes, instead of panicking, all you have to do is hope someone will intercept it and read the ID tag. Leave all the necessary info on the tag, and you’ll have a much better chance of reuniting with your friend as soon as someone sees it. Don’t leave your pet unattended. A worrying number of owners leave their companion in the car while taking a coffee break. As you can assume, leaving your dog in the car on 40 degrees Celsius is dangerous, to say the least. Animals can’t withstand extreme temperatures, especially the ones with thick fur. Don’t leave them even for a minute, because you don’t know what might happen in the meantime and cause you to remain out of the car for extended periods of time. Don’t overfeed your precious friend before traveling. I have made the same mistake before my last trip, and it wasn’t the brightest idea I’ve ever had. 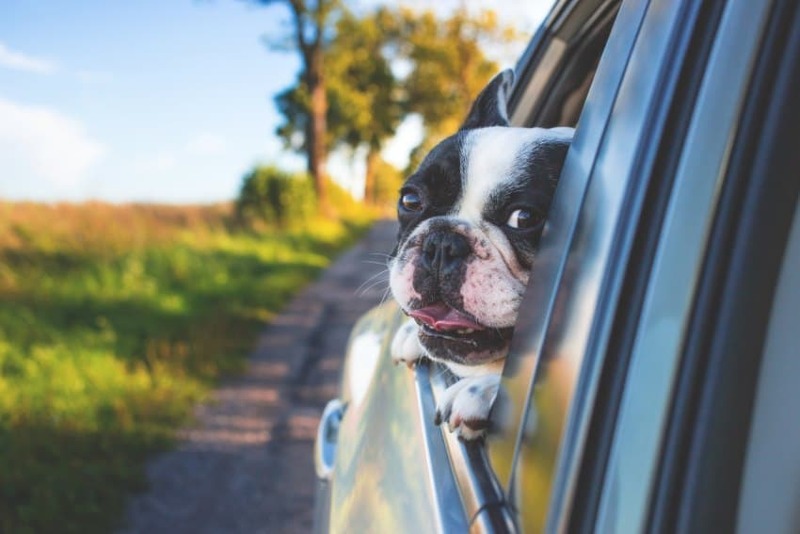 There is a good chance that your four-legged friend will either vomit or feel extremely uncomfortable during the trip due to problems with digestion, especially during summer. As I already said, if you feel comfortable enough, it doesn’t mean your pet feels the same way. However, you shouldn’t travel without installing pet-friendly belts and straps in your vehicle. If you don’t want to do that, a quality harness could solve the problem. Either way, make sure your beloved friend is as safe and secure as possible. If you don’t really know where to go and which places to visit, don’t despair. There are plenty of resources online that you can use as a starting point for your trip. 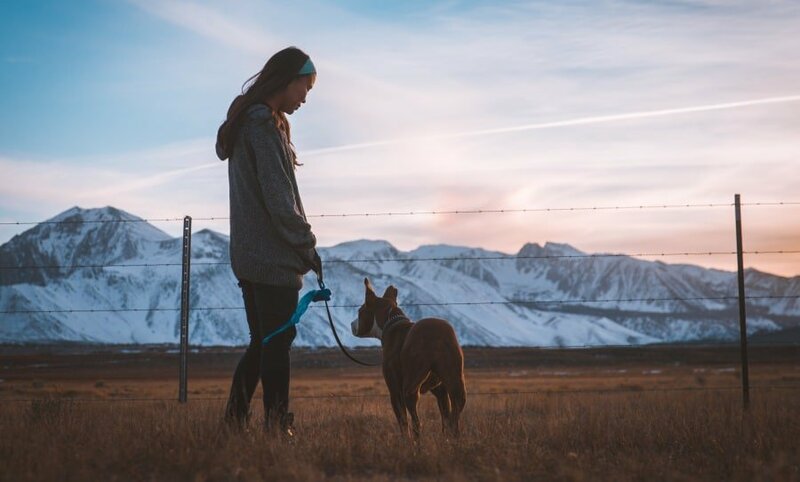 The Go Pet Friendly offers a ton of useful information about motels, hotels, and accommodations across the United States. They have a pretty big database of pet-friendly places which can be found on an interactive map. Therefore, you won’t have to hassle with finding the place based solely on a given address. Instead, the interactive Google Maps addon on the website will take care of the issue and offer waypoints, overall distance, and the safest way for you to get there. Give it a try, it’s a neat place. Another website by the name of Bring Fido offers valuable and helpful info about restaurants, events, hotels, services, and much more. 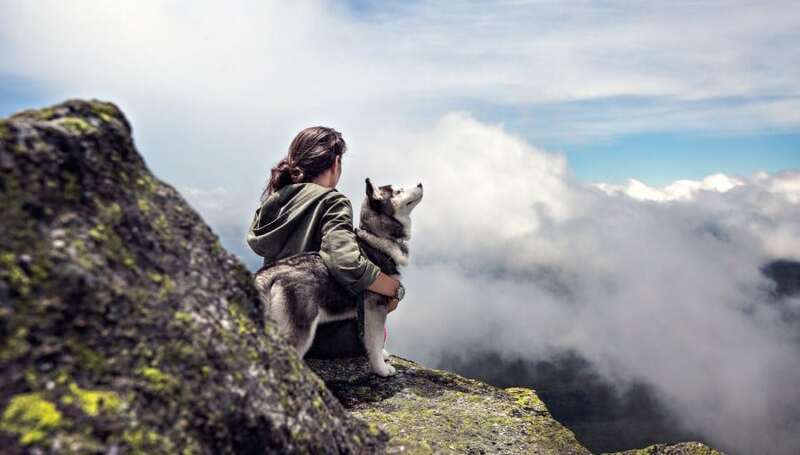 You can explore over 100000 places to stay and have a great time with your dog. There is no way you won’t be able to find something of interest on this website; it is huge and packed with a ton of different info. This way of traveling is slightly more complicated than driving your own car. There are a ton of strict regulations you and your pet must go through before going airborne. Also, it’s much harder to fulfill the conditions imposed by airline companies than it is to hit the road by yourself. Make sure that you cover all the variables before going to the airport or else you’ll find yourself going back home disappointed. Pay a visit to a vet. I cannot emphasize enough how crucial it is to do all the necessary health checks before going on holidays. Apart from making sure your pet is well, you’ll also need a ton of documentation. Therefore, don’t even think about going to the airport before visiting the vet and acquiring the required. After visiting a vet, make sure everything is okay with your companion. Any unusual behavior patterns could indicate a problem. Even though many people have absolute trust in veterinarians, they aren’t immune to mistakes. You as the owner should know your pet the best; therefore, you’re the one who needs to pay attention to your pet’s (unusual) behavior and overall well-being. Ask around or research whether a particular company demands special Plenty of airline companies have special inquiries that need to be fulfilled, or else you’ll get denied. For more info, take a look at my Airline approved pet carriers article. You can find a list of conditions, required dimensions, and some other details required by major US airline companies. A passport is the obvious mandatory thing. However, as I said already, an incredibly large number of people forget to pack their pet’s passport. How does that happen is beyond my comprehension, but make sure you aren’t one of those people. Do a regular check of your to-do-list at home, and once you see the “Bring a passport” box unchecked, you’ll probably get the idea of what you are forgetting. Most countries have age restrictions for pets if you’re traveling by plane. In other words, young puppies and kittens won’t get access. The minimum age a vast majority of international airlines require is between eight and ten weeks. Animals that are below that limit are prohibited from flying. Some countries have special requirements when it comes to traveling with pets. If you ever plan on going to one of these countries, make sure you’re fully prepared. Czech Airlines have a few extra conditions. For example, only three crates with animals can be transported in the passenger cabin on the same flight. Therefore, you must make a reservation or else you might get denied. For more information, visit their official website. Australia also has quite strict quarantine laws. It’s an isolated country, and they take preservation of their fragile eco-system very seriously. In fact, even Johnny Depp had a severe issue with the Australian government for smuggling his two dogs back in 2015. They even threatened to euthanize his two pets due to the violation of international laws. As you can see, it’s quite a big deal, and most countries don’t play around with this stuff. Therefore, always check the preconditions before taking action. These are the things you should think about even after fulfilling the mandatory conditions. As you can assume, following some of these tips will make your pet feel much more comfortable and cozy during a long flight. Choose a suiting carrier. This tip is the most important one you’ll stumble upon when researching the airline conditions. If you purchase a carrier that’s too small, you’ll jeopardize the overall comfort of your precious friend. On the other hand, if you buy one that’s too big, it’s going to get denied by the airport staff. There are strict regulations when it comes to the dimensions and weight of airline approved carriers. Therefore, make sure that the carrier meets the said requirements. Treats are always welcome. Apart from maintaining a good relationship with your dog, treats also help you to calm them down if they get a bit restless. As we all know, barking and squeaking are not the sounds you want to hear from your dog, especially 10000 feet above the ground. Other people’s level of tolerance is also a major question. No one will put up with a restless dog that’s barking continuously for hours. Find a way to calm your furry friend down. Bring a leash. Take your dog for a short walk a couple of minutes before the flight. Also, make sure you take it out of the carrier as soon as you leave the airport upon arrival. Giving the opportunity to your pet to stretch its legs is extremely important. Make sure you come early to the airport. In fact, many companies advise getting to the airport at least 60 minutes before the flight. That way you’ll have more than enough time to get the paperwork done and confirmed. Bear in mind; most major airline companies have a low tolerance for people who are late, especially the ones that need special processing like pet owners. Avoid changing flights. The general rule is to use only direct flights. Changing flights may cause stress on the animal and start a pretty nasty domino effect. As you may know, it’s not easy to bring your four-legged friend to senses if it decides otherwise. Make sure you read this part of the article because it’s quite important and can save you a lot of time, money, and most importantly – effort. A lot of people think they know the best, but it’s usually not the case, especially when flying with hundreds of other passengers onboard. Therefore, bear these tips in mind if you’re planning on traveling by plane, they are going to help you at some point. 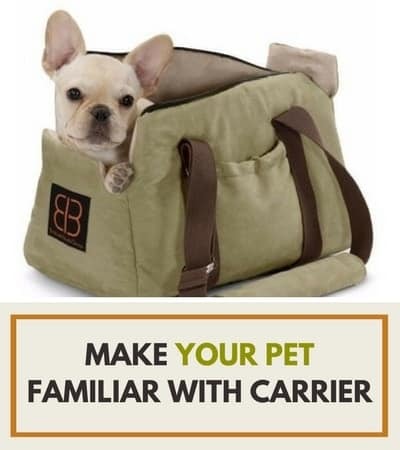 First things first, make your beloved friend familiar with its carrier. Buying a brand new one and putting your pet in it for the first time on a flight is the worst thing you can do. The first problem is the fact that you don’t know how is it going to react. A lot of pets don’t like their carrier, and that’s when the problems start. You can only imagine how many issues you’ll face if something like this happens to you. Take a look at our list of airline approved carriers for your pet. Bring water on a flight. It should be in people’s minds by default, but for whatever strange reason – it isn’t. Also, don’t try to rehydrate your pet by offering it water directly from the bottle. It doesn’t look right, and it’s also prohibited by some airline companies. A proper water bowl is a mandatory piece of equipment for every pet owner. Choose travel days carefully. Most airlines won’t carry animals if the ground temperature exceeds 30 degrees Celsius (85F). Also, avoid traveling during major holidays when personnel is overwhelmed. Microchip your four-legged companion. If you’re traveling internationally, most countries require this. However, even if you’re staying in the country, it’s always a smart idea to chip your pet so that you cover all potential predicaments along the way. Don’t overfeed your pet before the flight. The same rule applies to car travel, but it’s much more important for flying. There are hundreds of things that could go wrong if you feed your companion over its standard limits. Anything from vomiting, sudden defecations, restlessness, can turn your trip into a disaster. Don’t let your dog out of its crate. Apart from being prohibited by airline companies, it’s also a danger to other passengers. Many of them might have Cynophobia (fear of dogs) or various allergies. In other words, you’ll jeopardize the well-being of all people on that particular flight if you let your pet out of its carrier. Don’t do it. Don’t forget the required paperwork, by any means. As I already said, make sure you double-check everything before going to the airport. Forgetting something will result in you missing the flight. As you can see, traveling by car is less complicated than flying. However, that doesn’t mean you shouldn’t pay attention to some paramount stuff. Make sure everything is signed, checked, and authorized by the vet. Before booking a flight, go ahead and visit the official website of that particular company and get familiar with the preconditions. 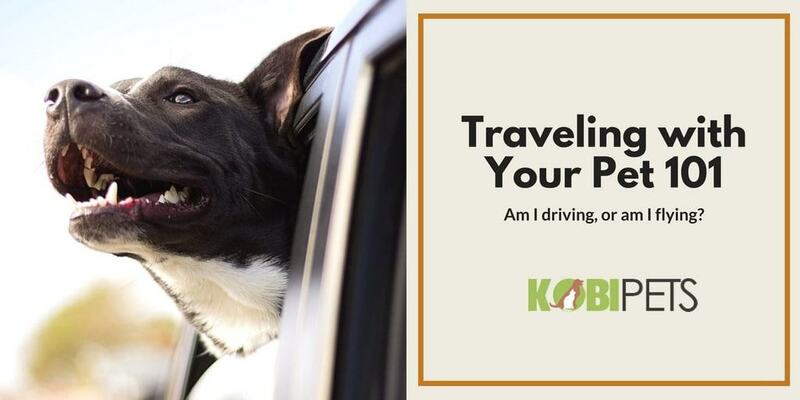 The most important thing is to think about the overall comfort and well-being of your furry buddy during the trip. Make sure it’s hydrated and fed, comfortable and cozy. Many people consider doing the paperwork as a huge burden and a buzz-kill. Consequently, a lot of them give up on their plans and settle down in their own town during the summer. Whatever you do – don’t give up on your plans. Acquiring the needed documentation isn’t as hard as many people think, it takes a bit of effort and research, but it’s worth your time.